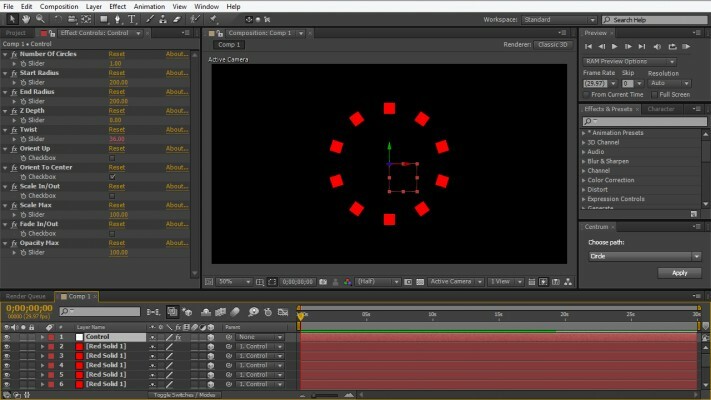 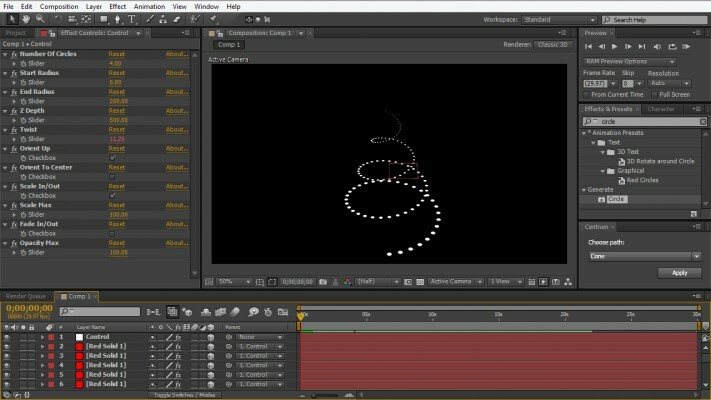 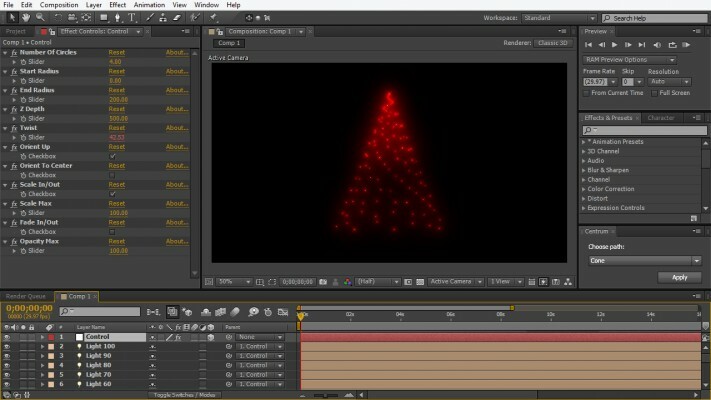 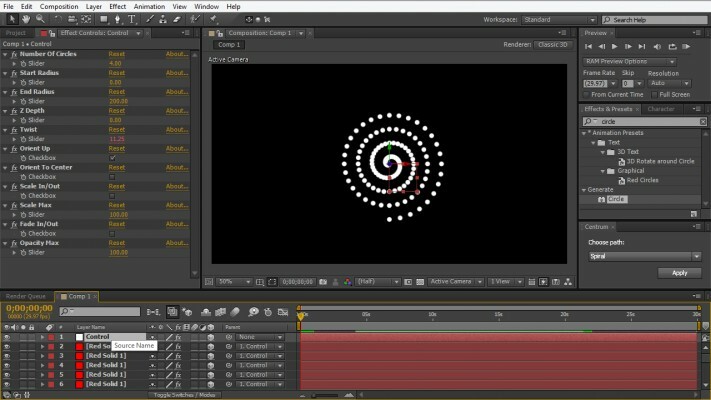 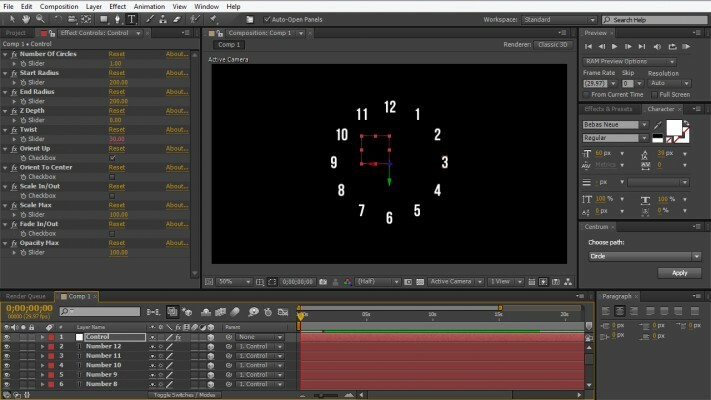 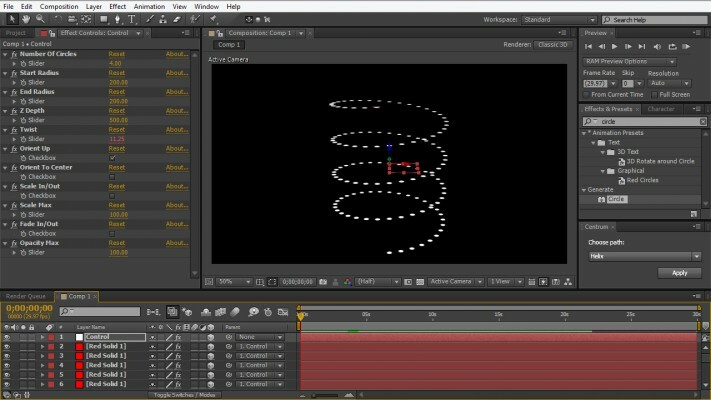 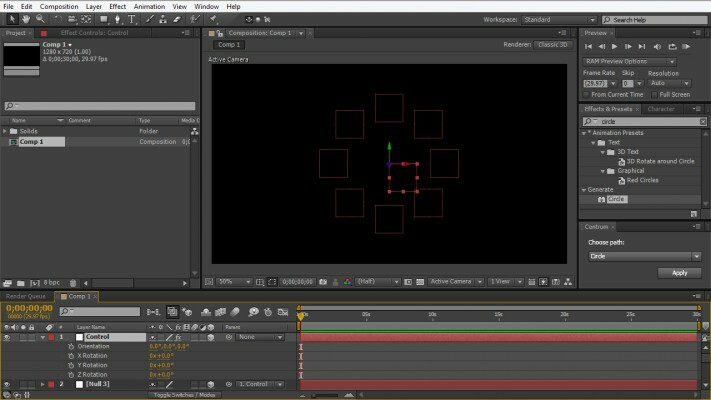 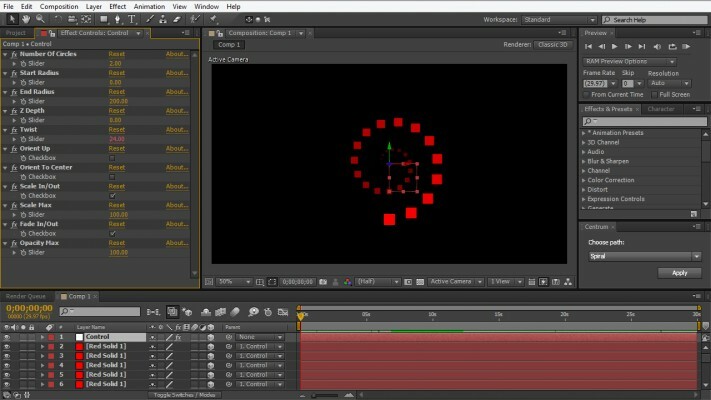 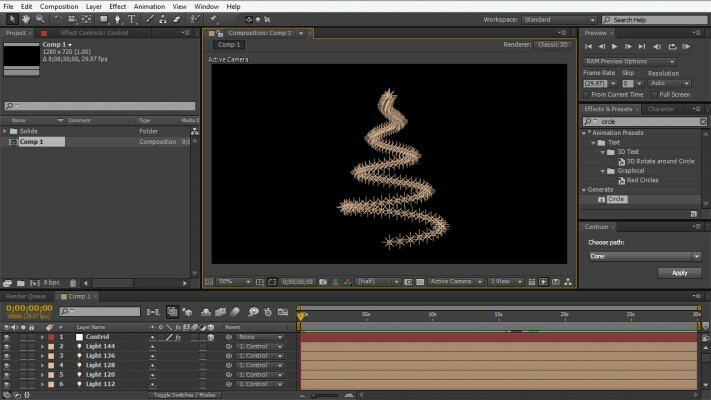 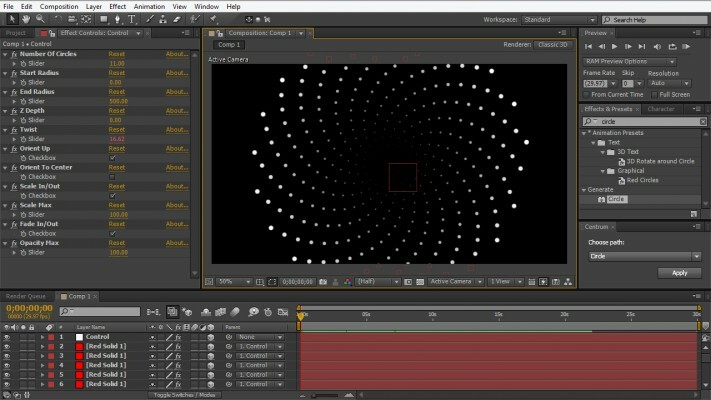 Centrum is After Effects script for organizing selected layers into circular or spiral formation. 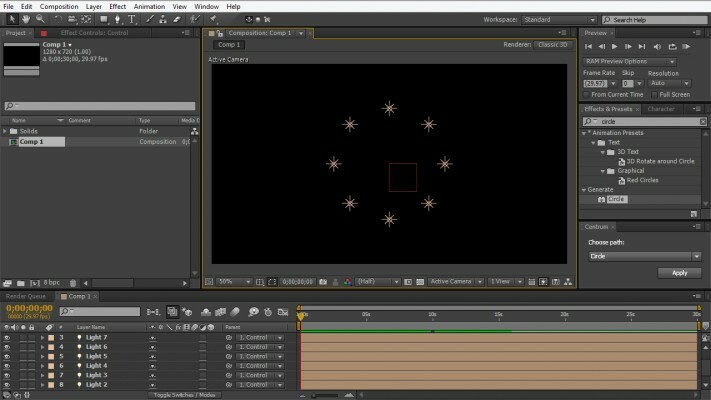 Just select the layers you wish to organize and apply the script. 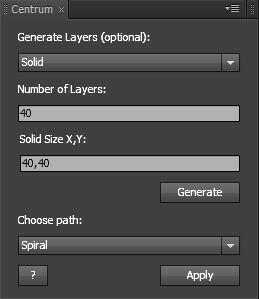 Centrum will automatically organize the layers into circle and it will make a new "Control" null object with bunch of expression control so you can easily make cool 3d objects or paths.